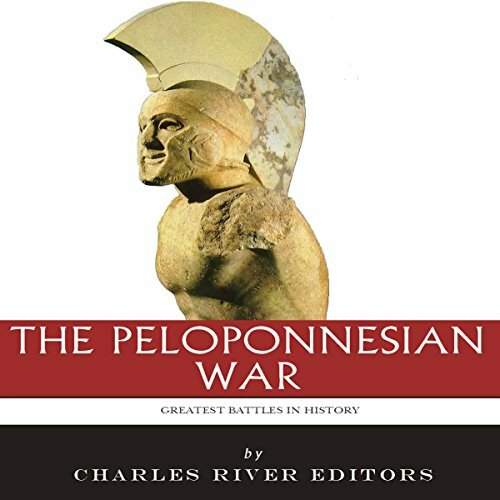 The Peloponnesian War broke out in 431 B.C. and continued intermittently for 27 years. It pitted the all-powerful land force of Sparta and its allies against the supremely powerful naval force of Athens. 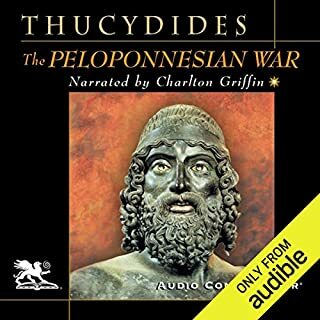 Thucydides actually participated in this conflict, a war that he realized would have a greater influence on the history of Greece than any other. 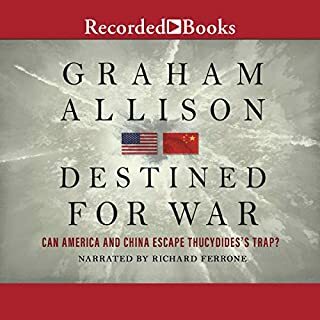 He vividly narrates exciting episodes and carefully describes tactical aspects of the war, and also provides illuminating character profiles. 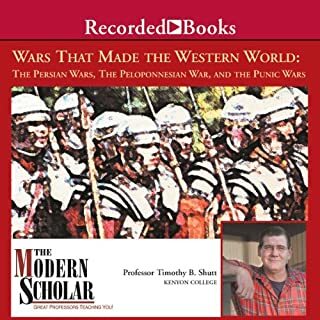 This course addresses three wars fought in antiquity, each of which had - even 2,000 years and more later - a decisive effect in shaping our communal sense of who we are, not only in Europe, but throughout the European cultural diaspora, in the Americas, in Oceania, and to some degree, at least, in Asia and Africa as well - wherever, in short, Western values hold. One man. Two armies. The fate of the ancient world in the balance. 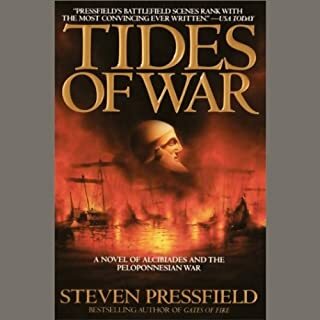 In Tides of War, Steven Pressfield presents an epic saga of Greek strife and conflict with the same historical precision and heartbreaking human scale that made his last novel, Gates of Fire, an international best seller. 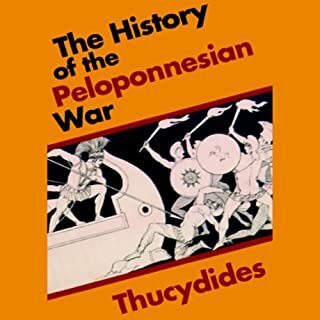 The Peloponnesian War, as the great historian Thucydides wrote in the introduction to his eponymous book, which has become one of the greatest historical treatises of antiquity, was an event of such calamitous magnitude that Greece had never witnessed its like in all of recorded history. Not the Trojan War, not the Dorian Invasion, not even the recent Persian invasions - which had devastated mainland Greece and seen Athens herself evacuated and put to the flame, the buildings on her Acropolis razed into dust - could compare to the scale of the devastation that engulfed all of Greece for almost three decades, causing the deaths of tens, perhaps hundreds of thousands. 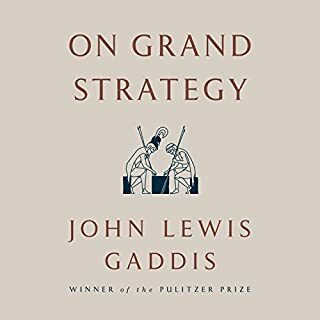 Entire populations were displaced, whole cities destroyed, and mountainous sums of money spent, all in order for Greece's two most famous city-states to establish who had dominion over Greece. Sparta, whose invincible armies had recently led the Greeks to victory against Xerxes' hordes at Plataea, was at the head of the Peloponnesian League. Their opponents were led by proud Athens, possessors of a fleet that virtually dominated the entire Mediterranean and decimated the Persian navy at Salamis and Mycale, at the head of the Delian League. Review and Analysis of Vishen Lakhiani's "The Code of the Extraordinary Mind: 10 Unconventional Laws to Redefine Your Life and Succeed on Your Own Terms"